Ufuk Özdağ is Professor and Chair of the Department of American Culture and Literature at Hacettepe University in Ankara, Turkey. Her teaching and research interests include American nature writing, ecocriticism, comparative studies of environmental literature of the U.S. and Turkey, and intersections between literature and visual arts. Özdağ has authored Edebiyat ve Toprak Etiği: Amerikan Doğa Yazınında Leopold’cu Düşünce (Literature and the Land Ethic: Leopoldian Thought in American Nature Writing, 2005) and Çevreci Eleştiriye Giriş: Doğa, Kültür, Edebiyat (Introduction to Environmental Criticism: Nature, Culture, Literature, 2014); she has coedited The Future of Ecocriticism: New Horizons (2011) and translated Aldo Leopold’s A Sand County Almanac into Turkish (Bir Kum Yöresi Almanağı, 2013). 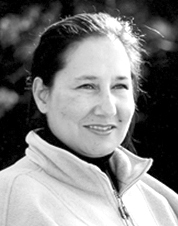 Özdağ participated in Aldo Leopold Foundation’s LEL program and became a ‘land ethic leader’ in 2010. Recently, she was appointed Director of the Land Ethic Research and Application Center at Hacettepe University. Özdağ is deeply committed to environmental conservation.